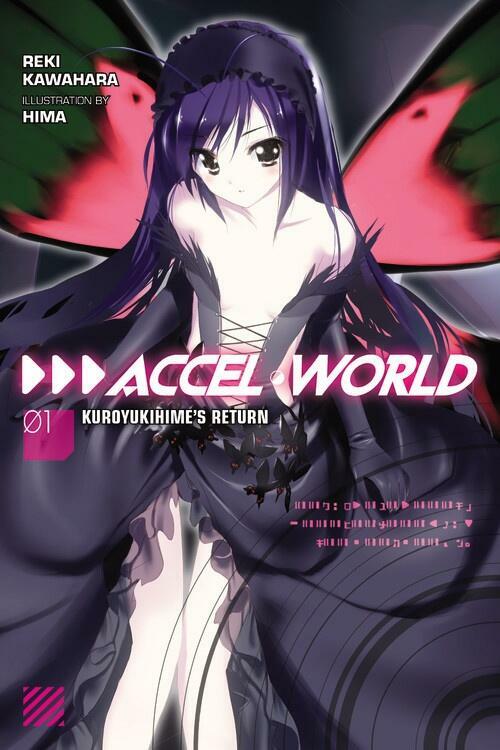 The first volume of Accel World has recently been released in English as a paperback by Yen Press. You can purchase the volume from online retailers such as Amazon, Barnes and Noble, or Book Depository. Even in the future, all the advances and innovation in the world can’t change the dynamics of the school playground. And for Haruyuki Arita, a fat kid in junior high, that means he’s destined to always be at the bottom of the food chain, prime pickings for the school bullies. But when he encounters the beautiful Kuroyukihime, an avatar in the virtual world where he relaxes, Haruyuki’s life is turned on its head as he dives into Brain Burst, a mysterious computer program, and the Accelerated World with her help. And it’s in the Accel World that Haruyuki casts off his depressing reality and takes hold of the chance to become a Burst Linker, a knight to protect his princess! It’s nice to know that they are translating the books. Hopefully it sells well enough so they don’t discontinue the English language adaptation. I guess we’ll have to wait and see how it pans out. Yen Press seems to be banking on Reki Kawahara’s works all being successful though, since they’re licensing everything of his.